NOTICE: The following email address is not secured by encryption. Please do not include personal information such as your date of birth, or personal dental/medical information in any emails you send us. If you are concerned about sending information through an unsecure email, please call our office. 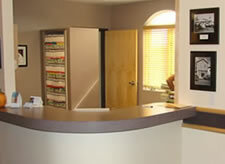 © Copyright 2008- Dental WebSmith, Inc. and Center Point Family Dentistry, PLLC. All rights reserved worldwide. Disclaimer: The information provided within is intended to help you better understand dental conditions and procedures. It is not meant to serve as delivery of medical or dental care. If you have specific questions or concerns, contact your health care provider.